Telltale, the developers behind such works as GOTY The Walking Dead and The Wolf Amoung Us have recently put out something of a surprise entry, and with a worryingly fast development time to boot. Simply titled Game of Thrones, the new entry came out December 2nd 2014 on PC as well as PlayStation and Xbox consoles. And it’s showing an awful lot of promise. The game follows the canon of the Game of Thrones show, rather than the book, which allows them to use the likenesses and voices of the actors and actresses involved in the series itself. However, the game follows the multiple character style of the books, jumping from person to person over the land of Westeros. In episode one, you play 3 different characters, Gared Tuttle, a faithful squire to Lord Forester, a loyal bannerman to house Stark during the Rob’s campaign in the south. Ethan Forester, the thirdborn son of house Forester, and eldest son present at Ironrath, the ancestral seat of house Forester. And Mira Forester, the eldest daughter of the house, assigned as a handmaiden to Lady Margaery Tyrell. The first episode revolves around certain events that take place in the south that fans of Game of Thrones are sure to recognize and see from a mile away, and the events following it in Ramsay Snow’s efforts to unite the North under the banner of Bolton and crush any opposition he encounters. However, the game doesn’t quite deliver the runaway success that so many fans have come to expect from the developer, nor perhaps, the expectations that the fans of the Game of Thrones franchise have no doubt come to expect from their content. The reason I say this is because this game has problems. Aside from lip-syncing freaking out every now and then and animation lacking the panache and style of other games by the developer, the biggest issue is the similarity to other elements in the Game of Thrones universe. House Forester is just house Stark with different names. Don’t believe me? Let me break it down for you, and be aware that this next paragraph will include SPOILERS for the first 10 minutes of the game. There’s the good and honorable father who dies. A loyal and brave firstborn son, perfect to replace his father, who dies. A firstborn daughter who has to stay at King’s Landing and can’t return home because of the war and needs to learn the ways of Southron politics in order to survive at court. A younger son who needs to step into the role of lord under increasingly dire circumstances in the North, supported by a loyal maester and men at arms who served his father for years. The youngest son who doesn’t understand what’s going on and just wants the family to be together again. And finally, a less than noble boy who is treated as part of the family, who has a strong connection with the youngest daughter, who is sent to the night’s watch because why the hell not? It worked out for Jon Snow. The only exception is the secondborn son, Asher Forester, who instead takes after Jorah Mormont, a noble son and antihero who is exiled to Essos for his crimes where he finds work as a sellsword. The episode isn’t a complete rehash of broken ground however and features a lot of threads that are unique, making the best use of the decision based narrative to differentiate it from the tropes of the show and book, although not as much as we’d like, but this similarity is pretty difficult to ignore, not to mention devastatingly obvious to recognize. Our other big complaint about the game is its obtuse dialogue system. Remember the age-old complaint about RPGs, about how the limited sentence you’re given in the dialogue wheel is nowhere near descriptive enough to explain what you’re going to say? Imagine that, with a time limit on picking what you want to say, that can leave you high and dry if you weren’t paying perfect attention to the last thing the person you were talking to has just said. In other Telltale games, this mattered less because your characters often had more fluid responsibilities as a leader making it up as you go along, or a detective who doesn’t care what people think of him. But in Game of Thrones, you’re asked to stare down Cersei Lannister as a lowly handmaiden and play word games, careful to sound genuine and honest whilst also denying your house’s past loyalties. Simply put, the Telltale dialogue system hasn’t been put under this kind of stress before, and we found ourselves spending longer on our decisions and making more mistakes than we have before in Telltale games. 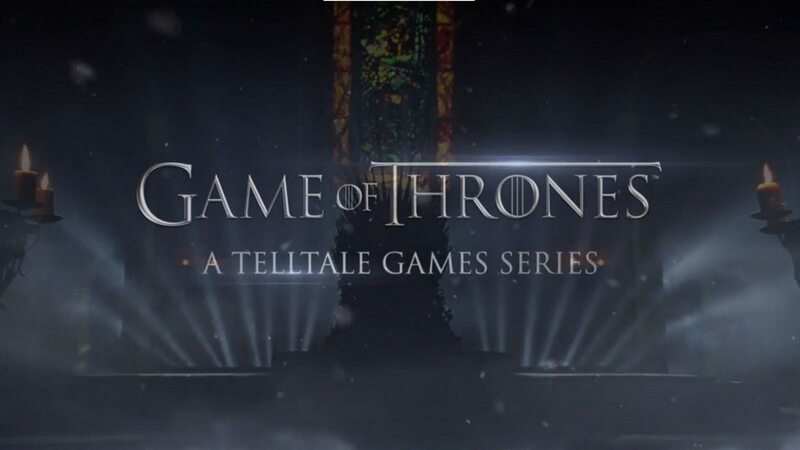 But all that aside, the first episode of Telltale’s Game of Thrones is a joy to play, to see the characters of Westeros come to life and react to our personal input is an unprecedented luxury that was mostly barren from previous games attached to the Game of Thrones franchise that all received mostly negative reviews and forgettable experiences. We have no doubt in our mind that Telltale are producing yet another of the best video games based on a TV series the world has ever seen, and although it’ll never meet the hype of The Walking Dead, it’s still a remarkably refreshing game, and we eagerly await the upcoming episodes.